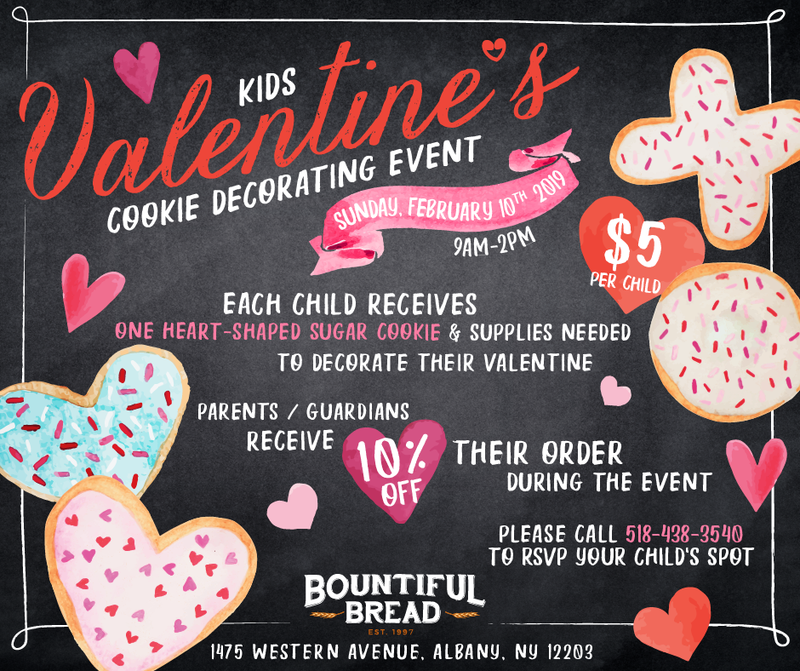 Bountiful Bread is hosting a Kid’s Valentine’s Cookie Decorating Event on Sunday, February 10th from 9am-2pm. Call them at 518-438-3540 to RSVP your child’s spot. $5 per child. Event includes one heart-shaped sugar cookie and supplies needed to decorate their valentine. Parents / Guardians receive 10% off their purchase during the event.